As we have already reported earlier, the Box Office Cricket league is going to come back with our favourite television stars on October 11th. This year the matches might get telecast on television as well. Babu Moshayes, Jaipur Joshiley, Mumbai Mastrams, Dilli Fukrey were among the teams to participate in the event last year. Celebrities, including, but not limited to Sehban Azim, Krystle Dsouza, Karan Tacker, Suyyash Rai, Nia Sharma, Karan Patel, Ssharad Malhotra and Shantanu Maheshwari took part in the matches. Also Read : Box Office Cricket League To Come Back With Two New Teams And To Be Aired On Television Now? This year two more teams will be added up. 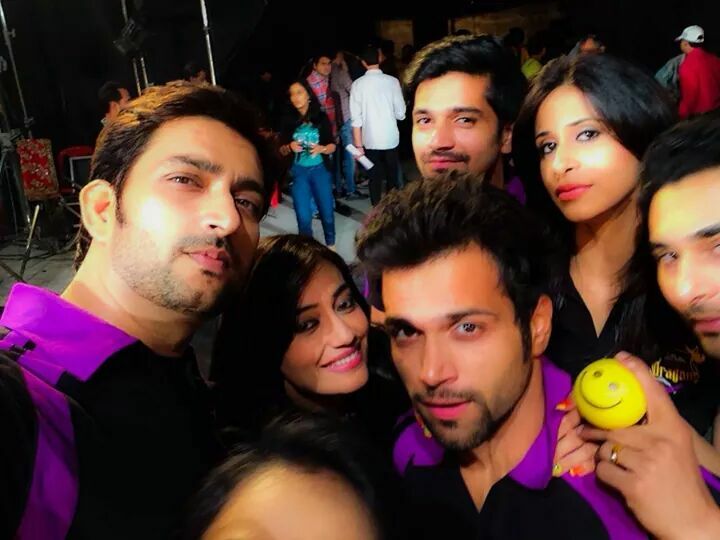 Rithvik Dhanjani, Surbhi Jyoti, Aadesh Chaudhary, Suyyash Rai and other celebrities recently shot the promo of BCL at Film city. 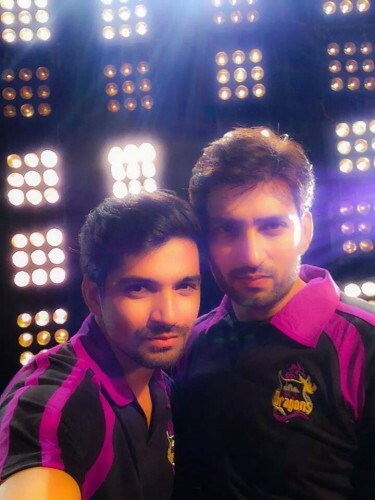 Aadesh Chaudhary Of Sasural Simar Ka and Vishal Singh of Saath Nibhaana Saathiya fame click a selfie from the promo shoot.